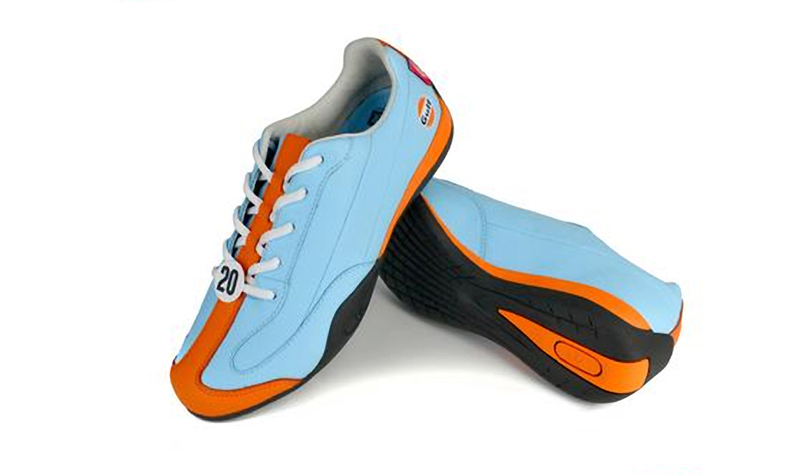 What do you think when you see a light blue anything with orange stripes? 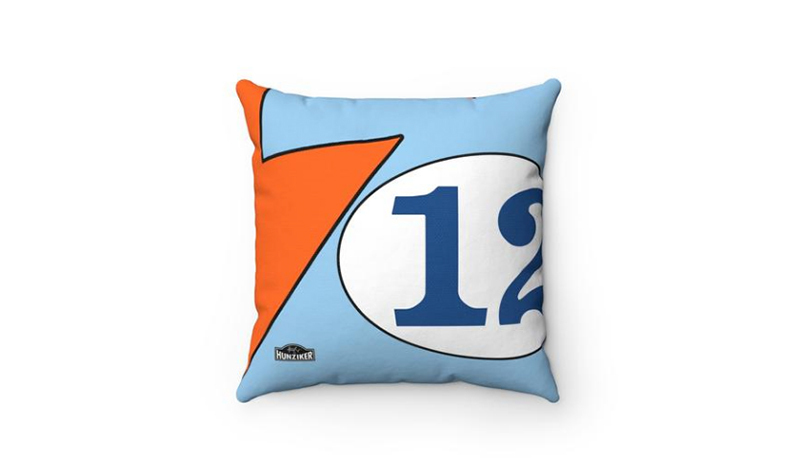 It has to be Gulf racing colors, of course. What else could it possibly be? 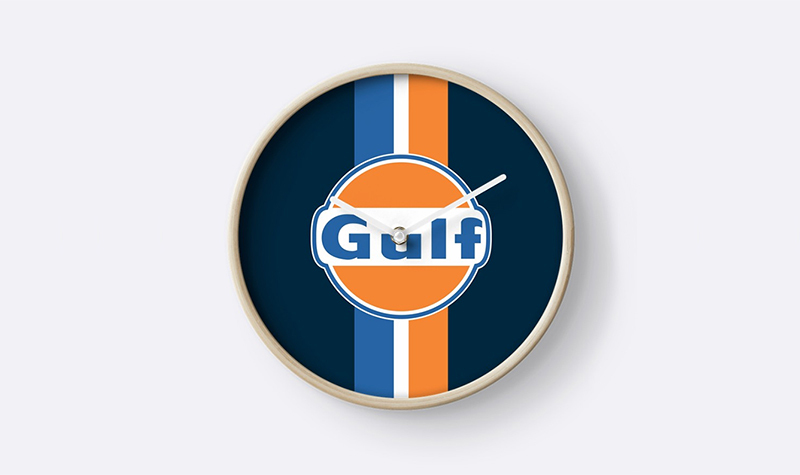 Gulf Oil has a long history in motorsport. 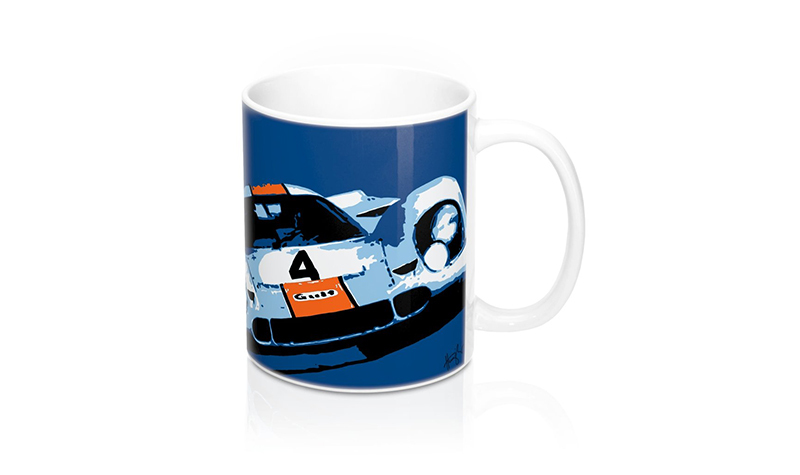 They’ve sponsored countless cars starting with the fabled Ford GT40. 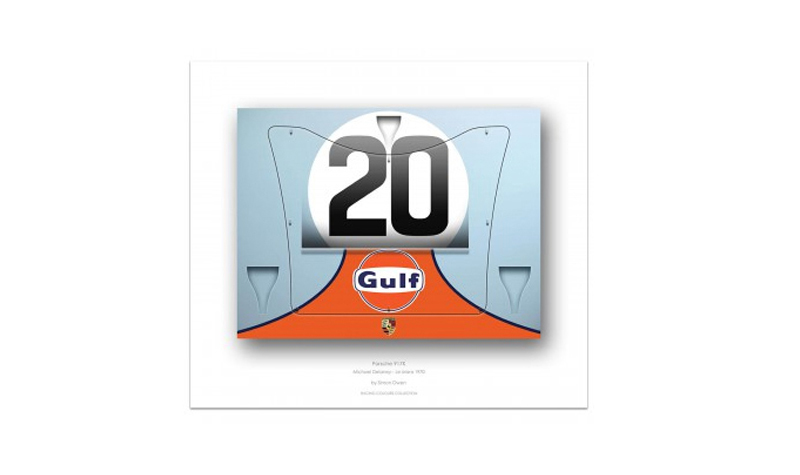 John Wyer managed that first Gulf team and continued the blue and orange on Porsche 917s and Mirages. 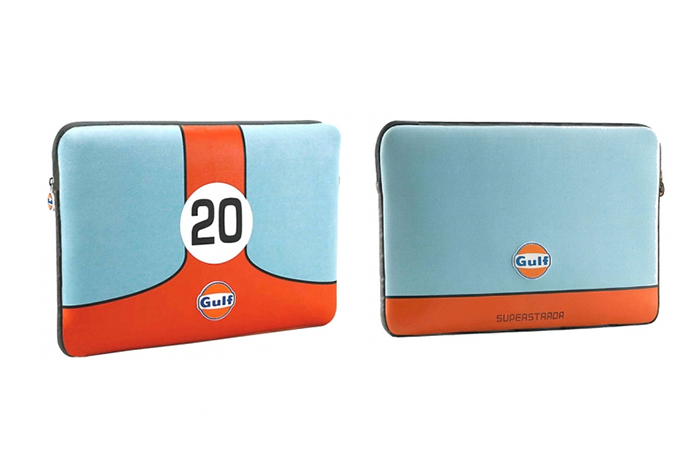 While Wyer’s team has long since stopped racing, Gulf continues to sponsor teams to this day at LeMans and elsewhere around the globe. 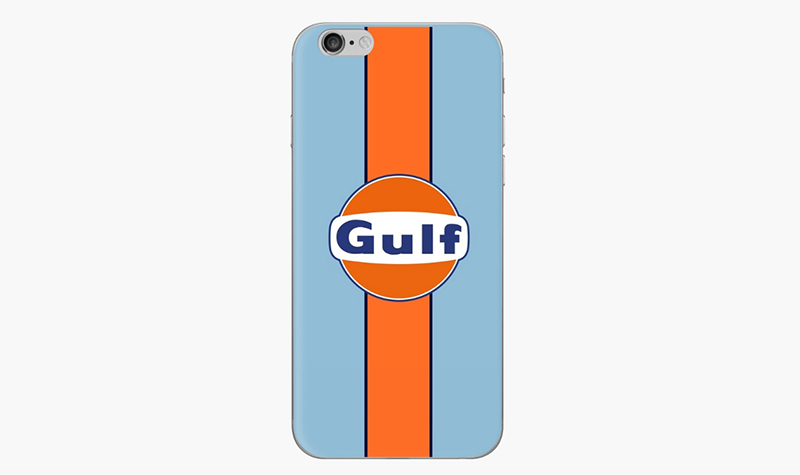 What unites most Gulf race cars regardless of manufacturer is the familiar light blue paint with an orange stripe (either straight or flared at the front). 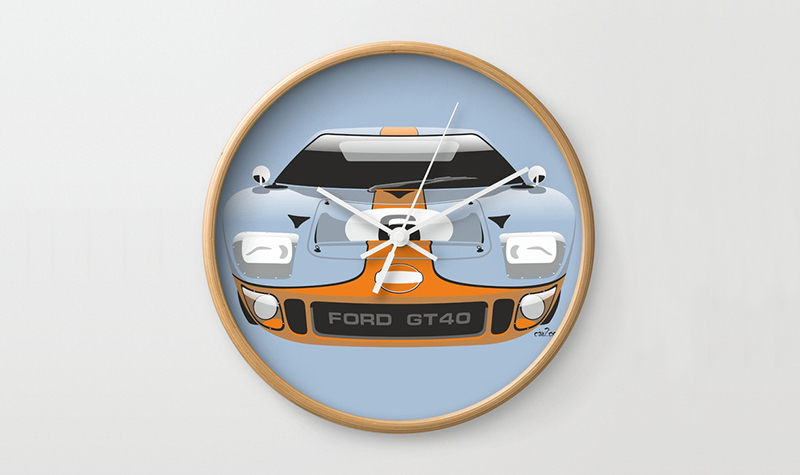 Maybe you see GT40s. 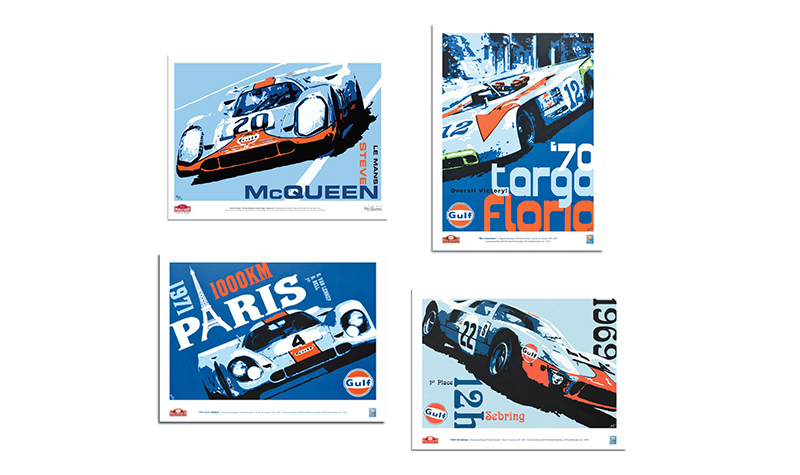 I see Porsche 917s. All good. 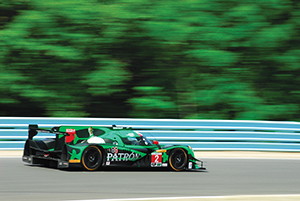 Slot cars have staged a grand comeback in recent years. Extravagant, beautiful layouts with full scenery and very realistically detailed slot cars are available. 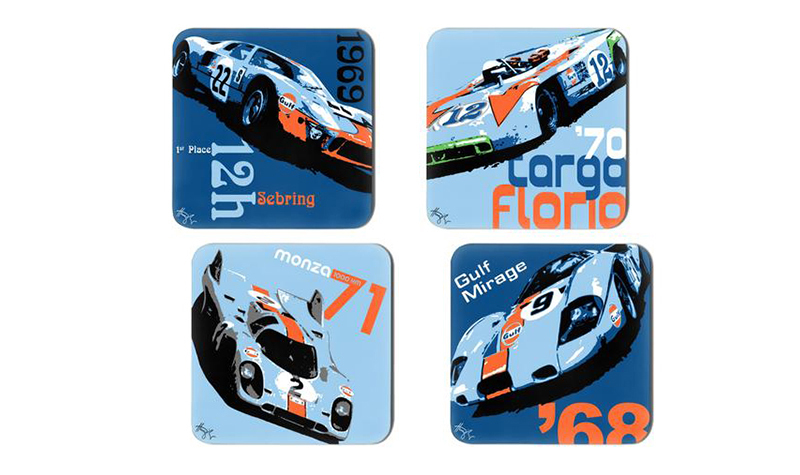 The most extravagant layout has to be this full size Porsche 917 shown at top and left. 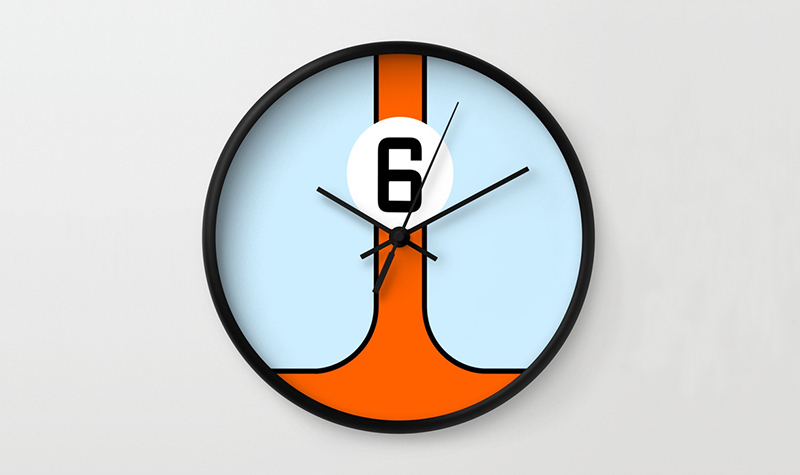 Costing far less than a vintage racing Porsche 917 might cost, it can grace your man cave for just $125,000. 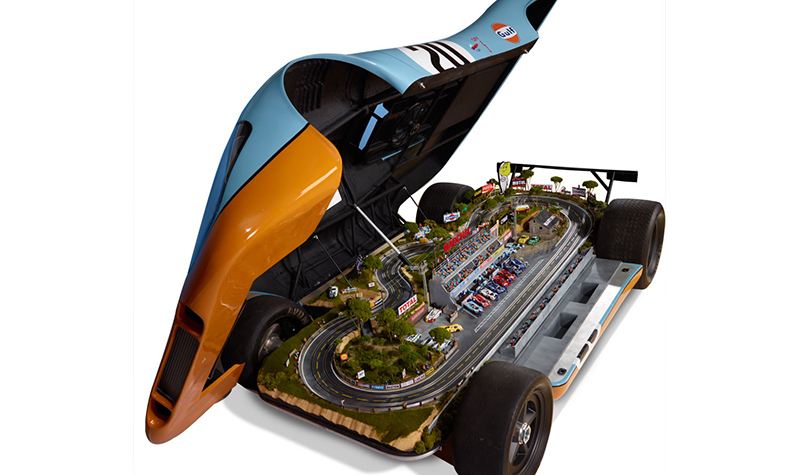 Flip open the clamshell design and the inside reveals a 1/32nd scale slot car set with LeMans scenery including the pits and a Dunlop Bridge. Each set is built to order and comes complete with a set of period-correct slot race cars. Order now for 2019. Available from Hammacher Schlemmer. 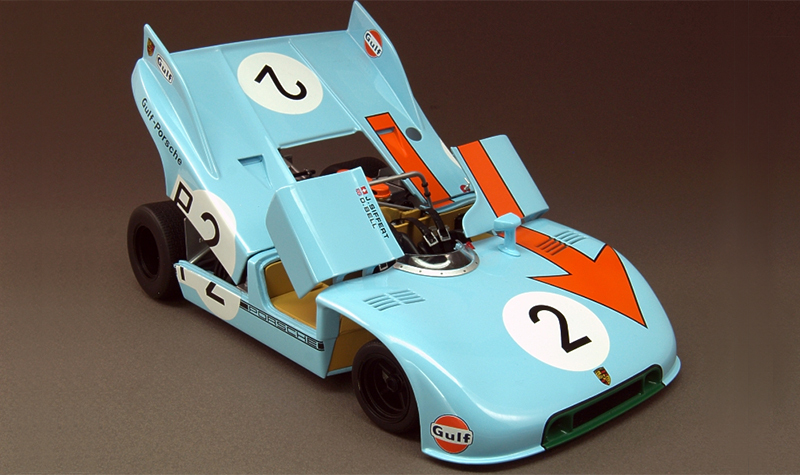 Pictured in the gallery below is the somewhat smaller 1/12th scale Porsche 917 by Minichamps. This is a finely detailed limited edition model. We found this example at Replicarz. 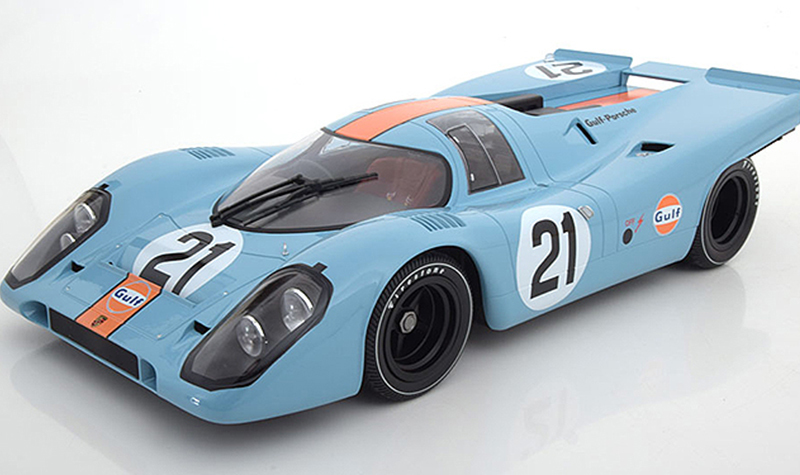 Less expensive and easier to display is this Porsche 908/3 from Autoart in 1/18th scale (right). The rear bodywork tilts forward to reveal a full engine, gearbox and chassis. The side doors flip open to show full cockpit details. Autoart is well known for their accurate and highly detailed models that represent excellent value. We found this example at Motorsport Collector. 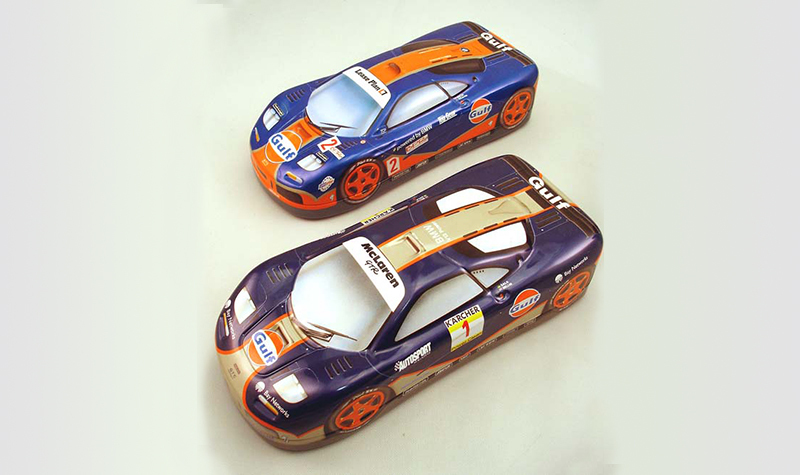 You’ll find a good selection of Gulf-sponsored 1/43 scale model cars here if your favorite collector prefers smaller models. 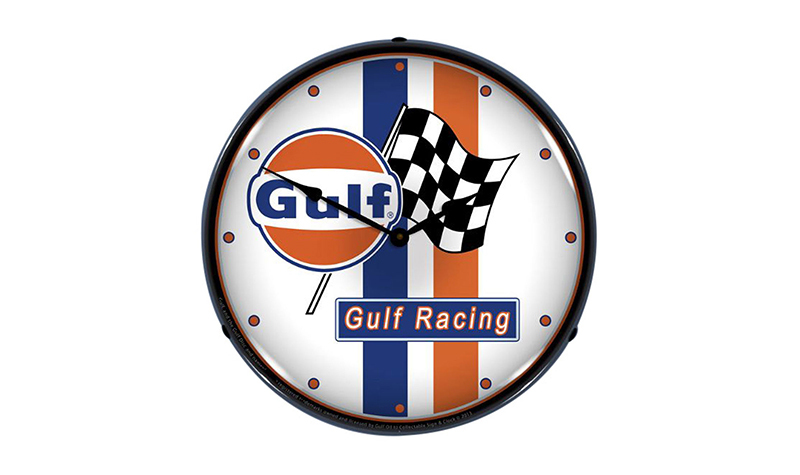 Below you’ll find a nice selection of Gulf collectibles that make great gifts for your resident Racerhead.